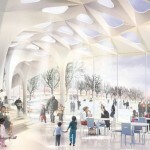 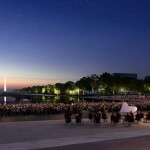 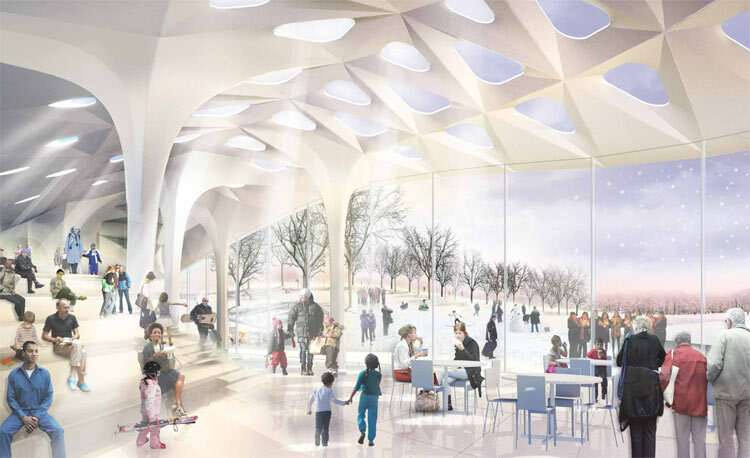 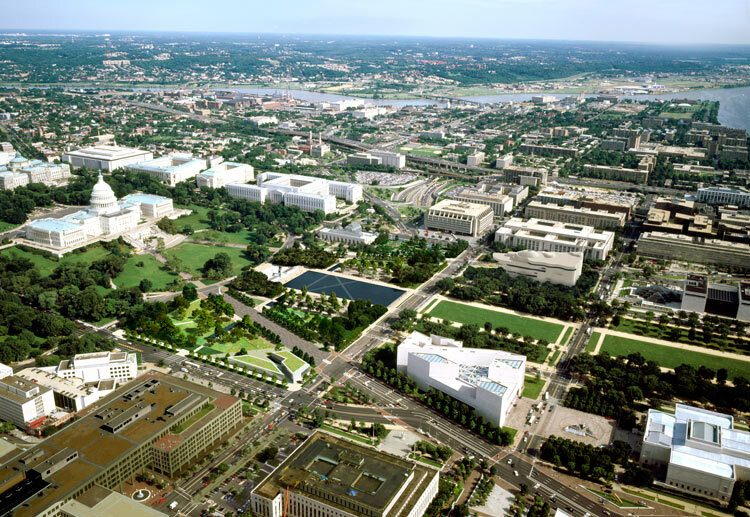 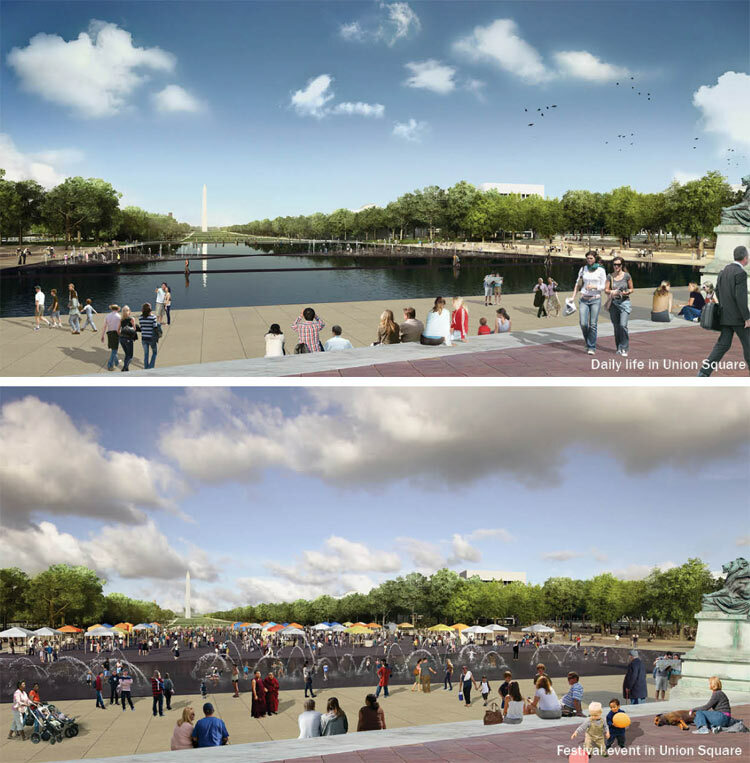 Following a design competition that dramatically reimagined the landscape of the National Mall in Washington, D.C., the Trust for the National Mall has announced three winning teams to update various segments of the iconic public space. 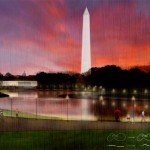 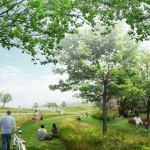 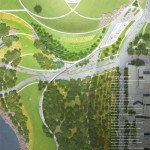 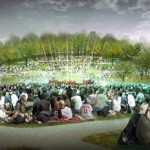 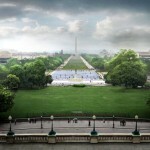 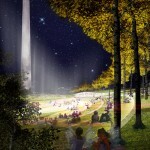 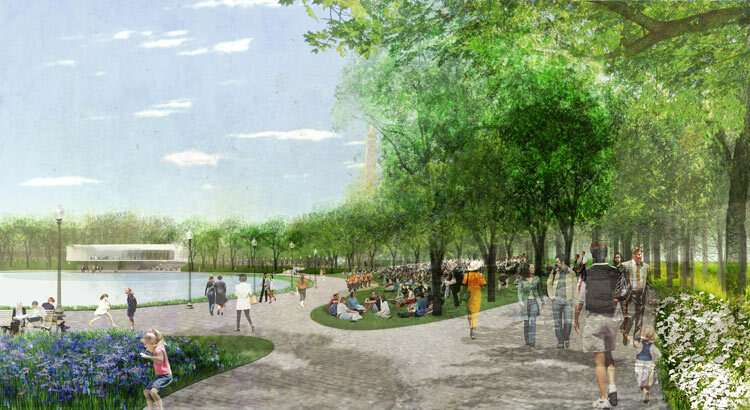 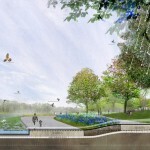 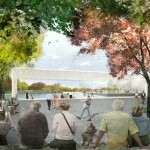 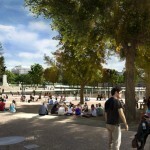 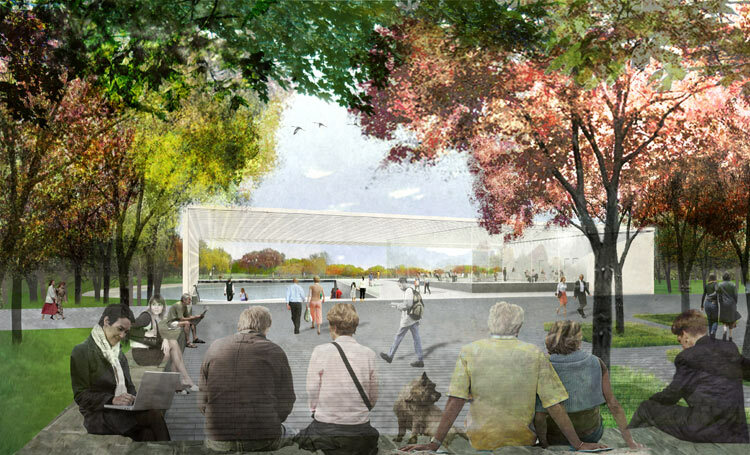 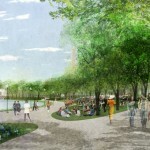 Union Square, near the foot of the Capitol, will be redesigned by Gustafson Guthrie Nichol and Davis Brody Bond, Constitution Gardens, near the Lincoln Memorial and reflecting pool, will be redone by Rogers Marvel Architects and Peter Walker & Partners, and the grounds surrounding the Washington Monument will be reimagined by OLIN and Weiss/Manfredi. 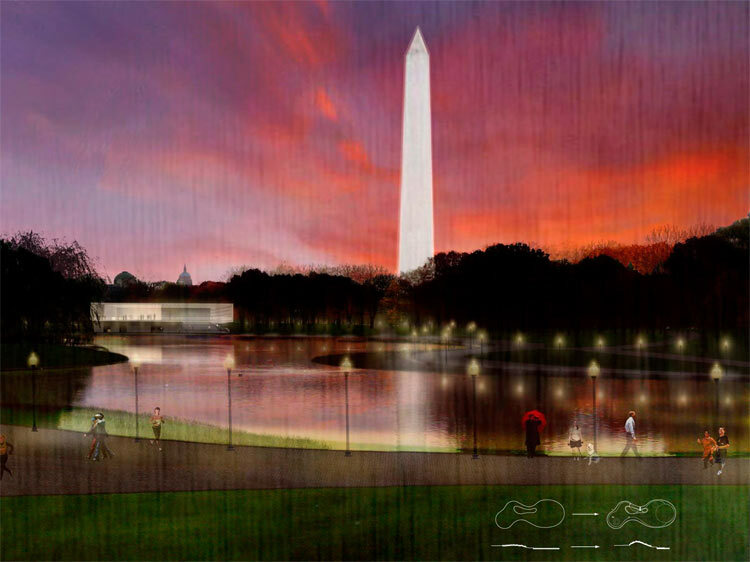 One of the most heavily used public spaces in the country, the National Mall has seen considerable wear and tear, prompting, among other actions, the National Park Service to remove the biannual Solar Decathlon competition due to maintenance concerns. 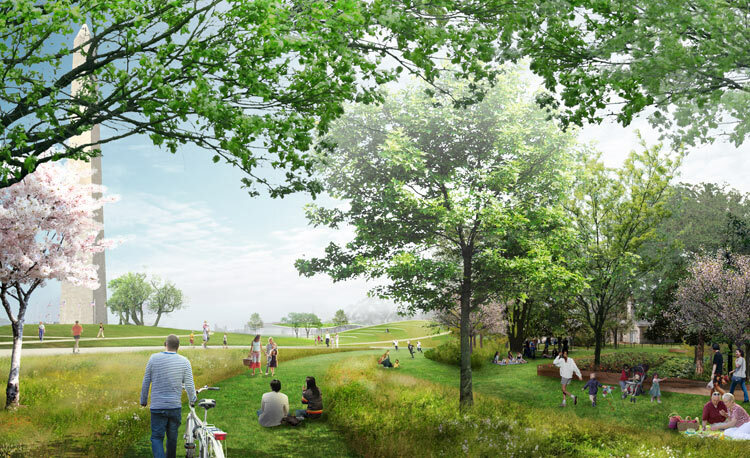 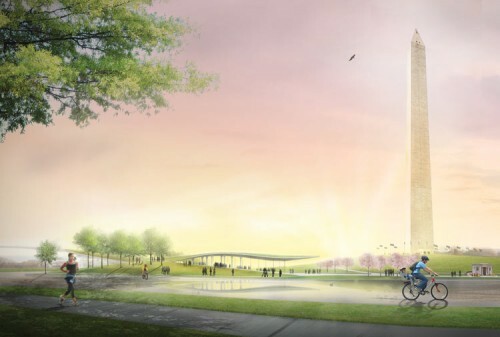 Each of the winning entries released ahead of a formal announcement by the Washington Post aims not only to restore a landscape able to handle millions of visitors a year, but also to add a new layer of design to the historic site, bringing it into the 21st century. 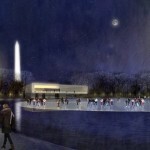 The Trust for the National Mall, a non-profit partner with the National Park Service dedicated to restoring and improving the National Mall, shied away from the theatrical undulations of Diller Scofidio + Renfro and Hood Design and the twisting pavilions by Balmori and WorkAC, instead opting for the reflective and more subtle but no less ambitious proposals selected today. 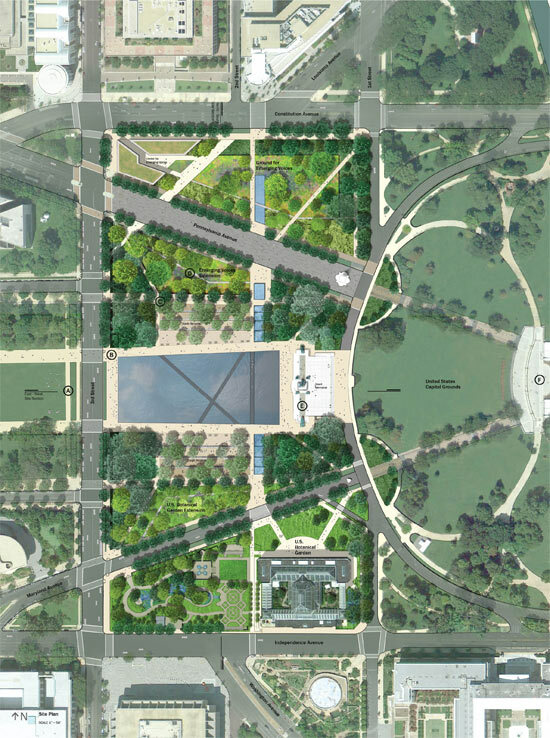 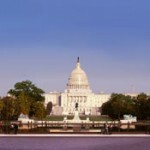 At Union Square, located at the foot of the U.S. Capitol opposite the Washington Monument, Gustafson Guthrie Nichol and Davis Brody Bond chose to extend the U.S. Botanic Garden on the southern edge of the site and the Congressional Youth Garden on the north to establish the park’s edges. 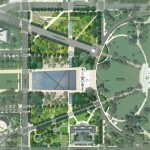 A large reflecting pool criss-crossed by walking paths and flanked by smaller pools around its edges can be partially drained, providing programmatic variety that allows for festivals and special events. 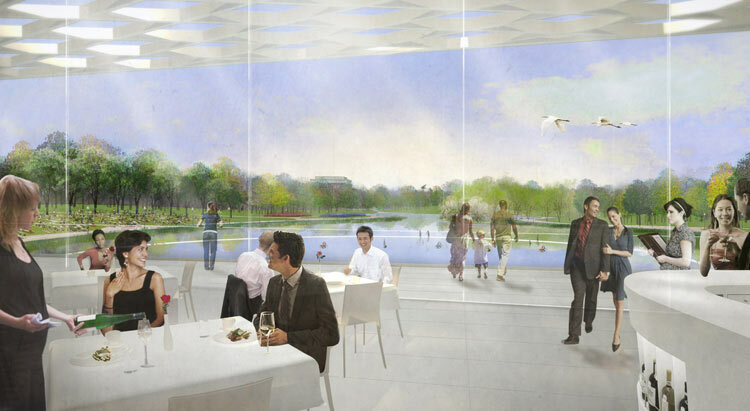 Rogers Marvel Architects and Peter Walker & Associates proposed a restaurant pavilion cantilevered over the reflecting basin at Constitution Gardens. 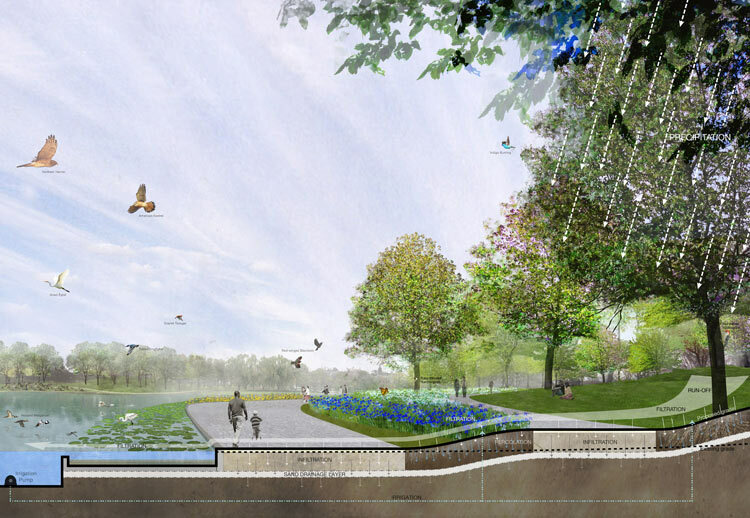 Now a source of drainage problems, the site is addressed by the winning design with an innovative water-management plan allowing water infiltration across the site and an aquatic shelf for filtration. 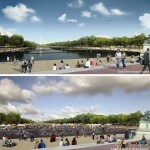 The basin allows model boating in summer and ice skating in winter. Rogers Marvel was also selected recently to renovate the nearby Presidents Park at the White House. 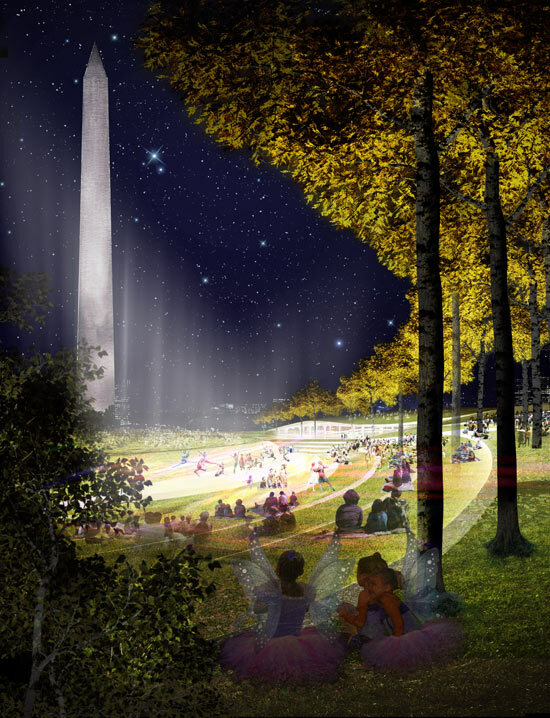 Finally, the Sylvan Theater at the base of the Washington Monument has been reimagined as a terraced hillside that forms an amphitheater. 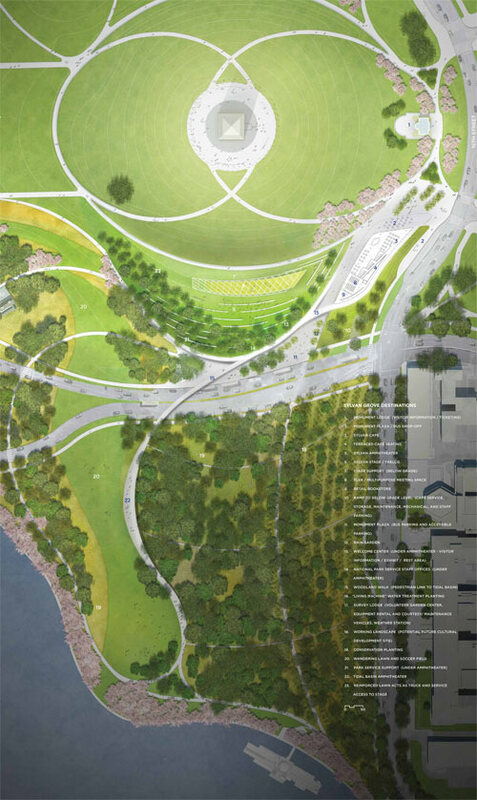 OLIN and Weiss/Manfredi propose a pavilion with a delicately flowing green roof emerging from the landscape to the south of the monument. 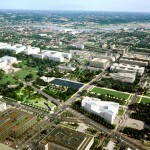 OLIN previously was involved in 2004 with a security upgrade to the site. 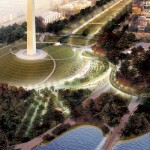 Now that the three designs are in place, fundraising begins. 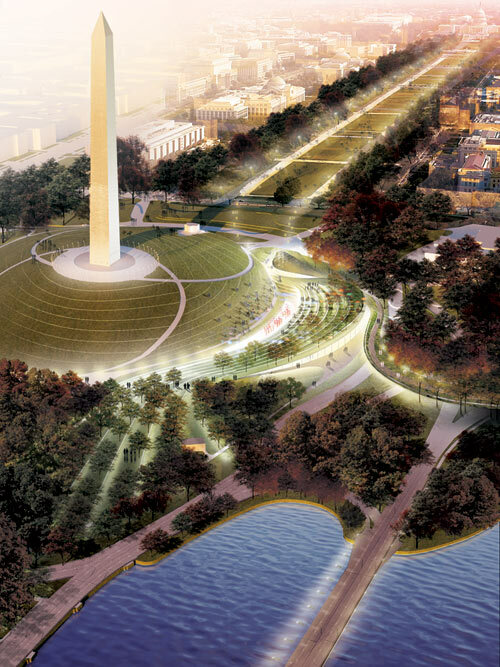 Work to complete the Washington Monument grounds and Constitution Gardens, to be overseen by the Trust, is estimated to cost around $700 million, covering construction and future maintenance. 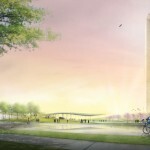 The first groundbreaking could happen as early as 2014. 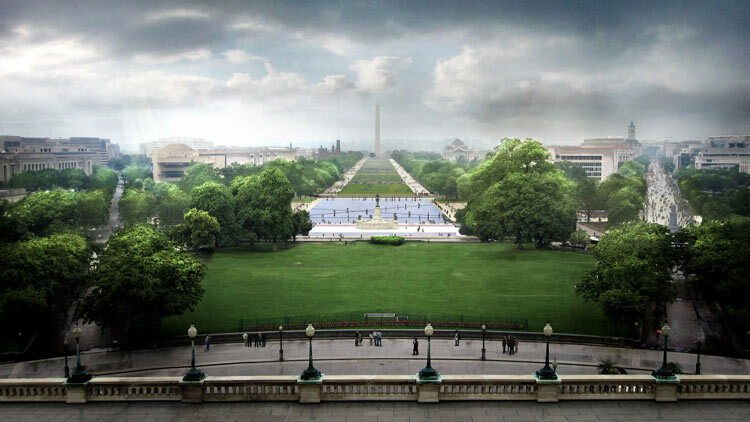 The Architect of the Capitol will oversee changes to Union Square.